There are public works contractors that are fully aware and familiar with the need to annualize their portion of the medical premium that they provide. There are also public works contractors who are not and need further guidance from the folks at Fringe. For those who may be the latter, please take note of these two base principals or guidelines regarding annualization of contributions as pertains to our prevailing wage consulting clients. 1) Annual Payments. For annualization purposes, contractors who make their yearly payments to cover the entire year’s medical premiums prior to the upcoming year, the total amount of hours worked by the employees the preceding year will be considered as representing a normal work year. Even if the employee is expected to work less, this next coming year, the previous year’s hours are still considered to be the norm. Therefore, to determine the hourly cash equivalent that the employer is entitled to take credit for, the total hours worked should be divided into the contribution made by the employer. For instance, if an employee works 2,000 hours the previous year and the employer makes an yearly contribution of $7,500, then 7,000/2,000 comes out to $3.50 per hour credit. 2) Monthly Payments. 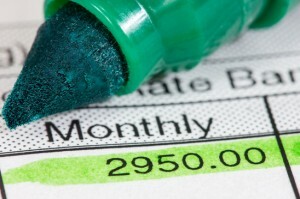 For employers who pay monthly rather than annually, there are a couple of ways to decipher the hourly cash equivalent. a) You can take the hours worked in the previous month( or same month in the previous yr) and divide it into the contribution made by the employer. For instance, if an employee worked 120 the previous month and the employer’s contribution is $200, then 200/120 comes out to $1.61 per hour credit. This method is Health Insurance Premiums Paid on a Lump Sum Basis. b) If the employer wants to pay monthly but doesn’t want to make the calculations for the credit monthly, they instead may want to estimate the annualized amount and take the same credit for each employee throughout the year. This is the most popular and easiest choice. 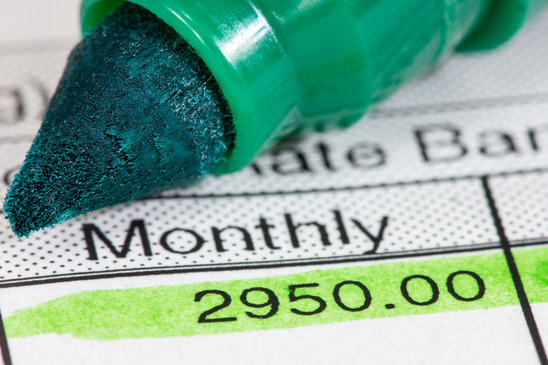 To decipher the annualized amount, a contractor may use the full year equivalent of 2,080 hours in determining the applicable credit. Therefore, if the employer’s contribution to the medical premium is $300, then, 300×12/2,080 comes out to $1.73. Remember, when doing a premium annualization estimate, you need to review the total amount of hours worked by each employee quarterly. If an employee is fore seen to work more than 2,080 hours, a refund needs to be issued to the employee for the overaged amounts and no more credit can be taken for him/her during that year. Should you find any of this confusing, please contact us today.